Researchers then injected different cancer drugs into the mice to test which shrank the tumors, findings that will help future patients with the same cancer type. Boehle, a 44-year-old school administrator in Zeeland, Mich., underwent surgery and received a combination of drug infusions. Her cancer has been in remission for the past year. “I call them little Holly mice,” she said in a tone of gratitude to the research animals, which were dubbed avatars because they carried her tumors into the lab. Boehle’s experience, part of a clinical study aimed at helping patients with similar types of cancer, opens a window into precision medicine, an advancing field that combines DNA analysis and diagnostic testing to target therapies to individuals and groups of patients. Fifteen years after scientists mapped the human genome — the set of genetic instructions that define a person — this approach to health care, diagnosis, and drug discovery is gaining traction in hospitals and labs from the Mayo Clinic to Boston’s research centers. For decades, doctors treated nearly all patients with the same disease in the same way, aware that drugs that worked on some would fail on others. Unlocking the mysteries of genetics has held the promise of finding more customized cures with drugs that can attack genetic mutations or repair genetic defects in individuals. The emerging approach plays to the strengths of the Massachusetts life-sciences sector, where dozens of drug makers, biotech startups, university labs, and medical centers are active in the field. Such companies as the Swiss drugmaker Novartis AG and the Japanese firm Takeda Oncology Co., which both have major operations in Cambridge, are marketing targeted therapies to treat cancer. Cambridge biotechs such as Genzyme Corp. and Alnylam Pharmaceuticals Inc. are developing personalized treatments for rare genetic disorders like Gaucher and Fabry disease. 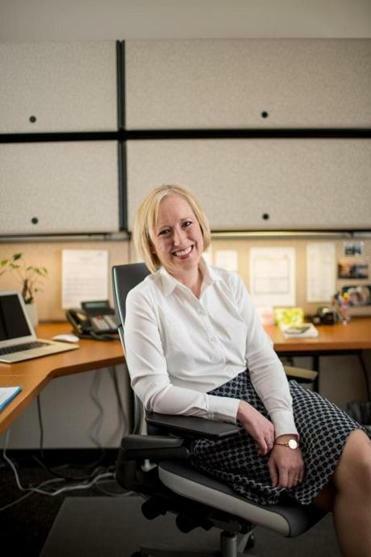 Vertex Pharmaceuticals Inc. of Boston is turning out a portfolio of medicines that attack the life-threatening lung disease cystic fibrosis by targeting specific genetic mutations. Holly Boehle was treated for breast cancer at the Mayo Clinic with specialized precision treatments. Some of the drugs that treat relatively small populations come at a high price — hundreds of thousands of dollars a year per patient — but they are improving and extending lives in ways that couldn’t be imagined by those suffering from the diseases a generation ago. New technologies are emerging that could lead to even more personalized medicines by helping researchers identify disease-causing gene alterations as targets for new therapies. Other innovations offer ways to catalog and analyze large volumes of blood and tissue samples stored across the nation, providing data to propel drug development. And a US government infusion of $215 million, unveiled by President Obama in January, should boost both of those efforts. If the first genome map was the opening act, “we’re into the next generation of precision medicine,” said Tyler Jacks, director of MIT’s Koch Institute for Integrative Cancer Research in Cambridge. That next generation is focusing less on a person’s overall genetic makeup than on specific genetic mutations that cause disease. In the case of Jacks’s lab at the Koch Institute, one focus is on mutations that cause pancreatic, lung, and colon cancers. “When people join my lab and most of the cancer labs across the country, they’re interested in understanding the genetic alterations of cancers and using that information to find new therapies,” Jacks said. Researchers sometimes cite the Framingham Heart Study, begun in 1948, as a precursor to today’s precision medicine. In that study, the National Heart Institute tracked more than 5,000 men and women in that Massachusetts town to identify individual risk factors for cardiovascular disease. The study compiled data on everything from blood pressure to cholesterol, which have helped a generation of drug developers target subsets of patients with different risks of heart disease with different drugs. The publicity generated when scientists completed a rough draft of the human genome in June 2000 raised public expectations for a new era of miraculous cures. But many of the technologies and processes needed to move toward those cures, such as diagnostic testing, imaging and analytic software, were in their infancy at that time. 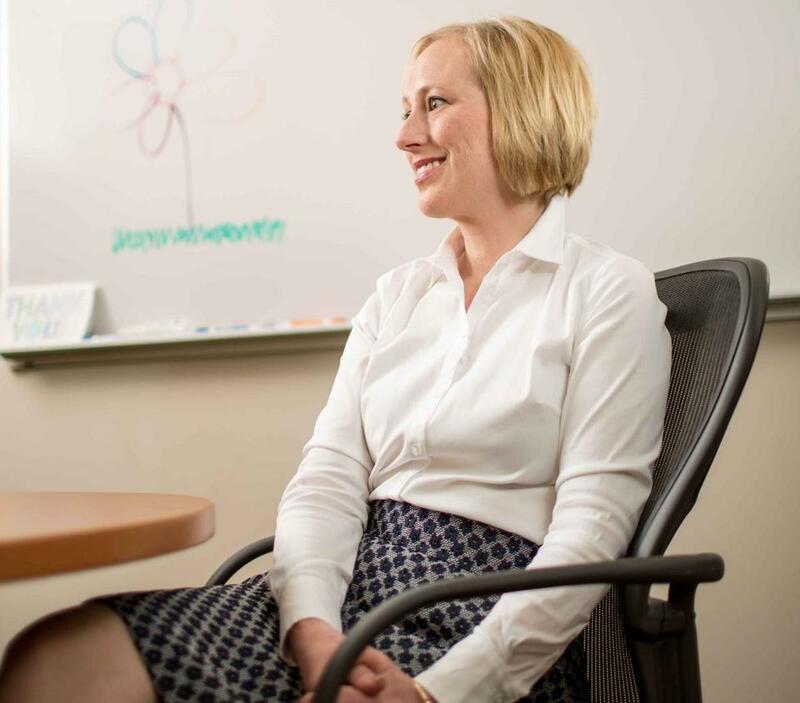 The breast cancer of Holly Boehle, a Michigan school administrator, is in remission after precision treatments developed at the Mayo Clinic. 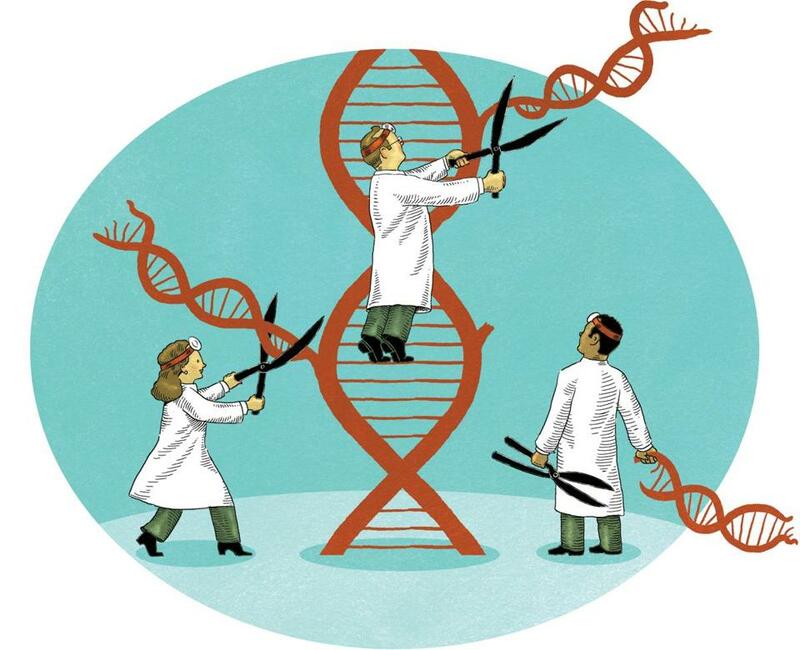 Another hurdle was the absence of large-scale genetic mapping, which has become much cheaper over the past decade because of advances in information technology. Private institutions across the nation, ranging from Harvard University to Kaiser Permanente in San Francisco to the Mayo Clinic, have opened “biobanks,” repositories for blood and tissue samples from volunteers. The samples are used in research studies, such as the one Boehle participated in, to better understand mutations and match treatments to patients. Medical technology and diagnostic firms, including Thermo Fisher Scientific Inc. of Waltham and Foundation Medicine Inc. of Cambridge, rolled out new products at the annual meeting of the American Society of Clinical Oncology in Chicago last week to help physicians and researchers keep track of new drugs and data. Foundation Medicine Inc. demonstrated its PatientMatch database of genetic information, which enables doctors to prescribe for patients treatments that have worked on others with similar cancer types. “The evidence is overwhelming that precision medicine is the new approach that will become the standard of care for cancer and other diseases,” said Foundation chief executive Michael Pellini. The model of developing genetic-based medicines to treat rare diseases was pioneered in the 1990s by Genzyme. It successfully marketed therapies for Gaucher and Fabry diseases, which affect relatively small populations of thousands of patients around the world. Today, much of the excitement in individualized medicine centers on battling cancers. Dozens of biopharma companies — notably Bristol-Myers Squibb Co., which runs a biologics manufacturing plant in Devens, and Pfizer Inc., which operates a research lab in Cambridge — reported promising data from experimental drug trials at the Chicago oncology meeting. The clinical data spotlighted new targeted therapies and drug candidates in the field of immunotherapy, which seeks to attack a broad range of cancers by boosting individual immune systems to fend off genetic mutations. Michael Snyder, director of the Center for Genomics and Personalized Medicine at Stanford University in Palo Alto, Calif., predicted all people in the future will get their genomes mapped before birth as a kind of personal genetic inventory, listing their risk factors for cancer and other diseases. So far, however, a minority of tumors respond to genetic-based therapies and doctors still see many cancer patients for whom effective drugs have yet to be developed. Even those whose cancers are initially subdued by targeted therapies often have tumors reemerge when cancer cells develop mutations that enable them to elude the initial medicines. Scientists increasingly are seeking to deploy “cocktails” of both biotech and traditional chemical-based drugs in their fight against cancers. The aim is to turn many cancers into chronic conditions, similar to AIDS, in which combinations of medicines can keep the disease at bay for years, if not indefinitely. To build the arsenal of such medicines, scientists will need more information on the genetic code of individuals to allow researchers to figure out which treatments work for each person. The president’s precision medicine initiative, announced in his State of the Union address, would provide funding to accelerate the collection of genomic data by the National Institutes of Health and its National Cancer Institute. “We need to be more like Amazon.com,” said Dr. Gary Gibbons, director of the NIH’s National Heart, Lung, and Blood Institute, referring to the online retailer’s ability to target products at customers based on past purchases. “As soon as the patient walks in the door, we should be gathering information about them” to be used in developing and prescribing drugs. By sharing her tumor tissue with Mayo’s avatar mice, Boehle feels that she and others in the clinical study played a role in helping to shape future cancer treatments. “We want to be part of the cure,” Boehle said. Correction: Because of a reporting error, a previous version of this article described too broadly the clinical study that Holly Boehle took part in at Mayo Clinic. The study is designed to help future patients with the same type of breast cancer.